Beginners/General Tutorial > Practice, Patience, Plugins, Pictures and Perseverance. Always try different building plugins and new tools to expand your knowledge, play around with different meshes and see if you can get an original effect. No game gets popular straight away, mine took over a year. Don’t rush your builds, put time and effort into them. Most agree that they were crap at building until they used plugins, get to know the keyboard shortcuts it’s really fun, haha. I recommend Build v4.1, F3X and qCmd Ult for the main building. Others like resize align, gapfill, Volumetric Lighting Plugin and Oozledraw toolbar: draw curve/rope are amazing for other features. Everyone needs inspiration, I use Google images mostly and then visiting other showcases is also a big help, don’t just go to other showcases and look around for 2 minutes, pay attention to the detail and how they built every little detail. 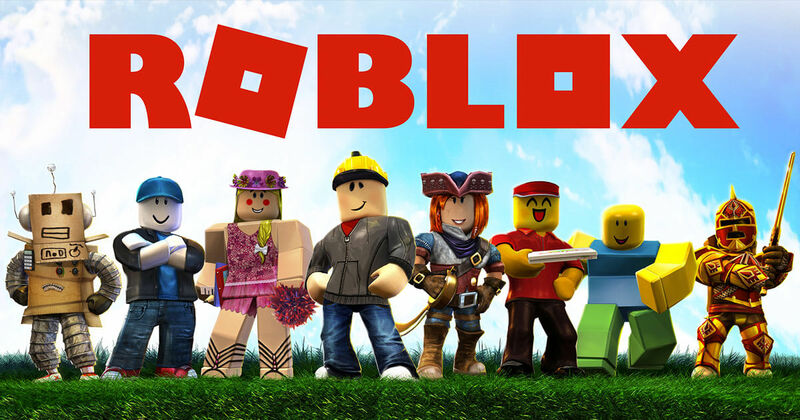 Final note: Every builder on Roblox was once most likely worse than you are now. Every builder starts small and improves over time. Also a really cool part of building is that every builder should have their own style and special techniques when building certain things, create your style and have fun with building! There’s a better way to deal with Z-Fighting rather than the method of moving the parts slightly apart as that creates a gap/edge/line between the parts. This is probably the most important point. Two things will need to be learned to fix this: Learning to build “on a grid” and learning to build with a wider variety of shapes. The expression “on a grid” refers to the increment that you build on whether it be .2 studs or 0.25. You should always build with the same increments so your parts will never overlap and cause z-fighting with the bonus of keeping your build clean and easy for you and others to work on/edit. If you need to add more detail you can decrease the increment for parts to stick out by 0.04 if you build on a 0.2 grid or 0.05 if you build on a 0.25 grid. Never switch between these increments in the middle of the build because it will likely mess up the flow and ruin the point of building on a grid. The other point is that you should learn to build with a wider variety of parts, such as wedgeParts, cornerWedgeParts, Spheres and Cylinders. I’m not saying “use a cylinder for a pole” I’m saying combine these shapes to add more detail and realism. If you use wedgeParts and Blocks you can build curves without any overlap, if you use cylinders for edges, spheres for corners and a block parts in the middle you can give the parts beveled edges. WedgeParts and CornerWedge parts merged with a block part in the middle can make a nice ramp or stage type shape. If you are building on a grid you should be able to easily create many more shapes other than just using blocks and the triangle tool. The triangle terrain plugin that is being used is old and leaves large gaps between the triangle that it creates, you should search for a different one that doesn’t leave these gaps. Personally I use blobbyblob’s build v4 which has an inbuilt triangle terrain tool that doesn’t leave gaps. What’s shown in these images can be fixed with 2 plugins, Resize align and Gapfill both created by stravant. They are almost the only other plugins I use next to Build v4 and can help in numerous situations. The image shows the builder using a decal to replicate the effect of scorched sand. It doesn’t fit in very well. To improve it you could add some transparency to the decal to give them a more faded and realistic look as they blend with the background more. 4. There’s more to building than putting two parts together? Building and creating maps isn’t just about map structure, you also have to add atmosphere and liveliness into your creations to make them more immersive for the player. I highly suggest using more of ROBLOX’s features such as: ParticleEmitters, PointLights/Lighting Objects, Scripts and the game.Lighting properties to blend Roblox’s lighting with the style of your build. For a Desert map add some sandy fog, orange-ish outdoor ambiance, dark red ambiance and a skybox that fits the genre and blends with fog colour. Use ResizeAlign Fix and thousands of other assets to build an immersive game or experience. Select from a wide range of models, decals, meshes, plugins, or audio that help bring your imagination into reality. Use GapFill Fix and thousands of other assets to build an immersive game or experience. Select from a wide range of models, decals, meshes, plugins, or audio that help bring your imagination into reality. Use Model Resize Plugin 2.1 [ DRAG TO RESIZE! ] and thousands of other assets to build an immersive game or experience. Select from a wide range of models, decals, meshes, plugins, or audio that help bring your imagination into reality. Use Stravant - MaterialFlip and thousands of other assets to build an immersive game or experience. Select from a wide range of models, decals, meshes, plugins, or audio that help bring your imagination into reality. Use oozledraw toolbar: draw curve/rope and thousands of other assets to build an immersive game or experience. Select from a wide range of models, decals, meshes, plugins, or audio that help bring your imagination into reality. Use CSG Curve Cutter and thousands of other assets to build an immersive game or experience. Select from a wide range of models, decals, meshes, plugins, or audio that help bring your imagination into reality. Use Motor6D Maker and thousands of other assets to build an immersive game or experience. Select from a wide range of models, decals, meshes, plugins, or audio that help bring your imagination into reality. Use Images/Smoke1 and thousands of other assets to build an immersive game or experience. Select from a wide range of models, decals, meshes, plugins, or audio that help bring your imagination into reality. Use Circle and thousands of other assets to build an immersive game or experience. Select from a wide range of models, decals, meshes, plugins, or audio that help bring your imagination into reality. Use CircleGlow and thousands of other assets to build an immersive game or experience. Select from a wide range of models, decals, meshes, plugins, or audio that help bring your imagination into reality. Use CircleGradiant and thousands of other assets to build an immersive game or experience. Select from a wide range of models, decals, meshes, plugins, or audio that help bring your imagination into reality. Use Fire1 and thousands of other assets to build an immersive game or experience. Select from a wide range of models, decals, meshes, plugins, or audio that help bring your imagination into reality. Thanks for reading, sorry for my grammatical and spelling errors. What are useful plugins for building? Also, a plugin I use a lot if my Motor6D maker. Bit old, but it extremely useful for builds that info parts rotating without the need to stop due to a part in the way. Visit mistertitanic55’s Inventory and see the cool items they have collected. Look out for their game passes and get one for yourself! Browse through mistertitanic55’s collection of hats, shirts, gear, and more. I’ll keep adding stuff if you guys want to add other resources you think would be helpful. Well one thing a lot of people on roblox need are trees, high quality single union great looking tree. Use Trees and thousands of other assets to build an immersive game or experience. Select from a wide range of models, decals, meshes, plugins, or audio that help bring your imagination into reality. Use Dead Trees #2 with stumps and thousands of other assets to build an immersive game or experience. Select from a wide range of models, decals, meshes, plugins, or audio that help bring your imagination into reality. Use Dead Trees and thousands of other assets to build an immersive game or experience. Select from a wide range of models, decals, meshes, plugins, or audio that help bring your imagination into reality. Use Tree and thousands of other assets to build an immersive game or experience. Select from a wide range of models, decals, meshes, plugins, or audio that help bring your imagination into reality. Use Birch Tree and thousands of other assets to build an immersive game or experience. Select from a wide range of models, decals, meshes, plugins, or audio that help bring your imagination into reality. Use Birch Tree2 and thousands of other assets to build an immersive game or experience. Select from a wide range of models, decals, meshes, plugins, or audio that help bring your imagination into reality. Use Mesh Plant Kit and thousands of other assets to build an immersive game or experience. Select from a wide range of models, decals, meshes, plugins, or audio that help bring your imagination into reality. I think I’m some cases the use of meshes may be involved in building. Would be nice to have a little explanation for some for meshes. I find that mesh trees are more effective than Roblox trees besides issues with collisions which are almost no longer and issue. Echo was talking about injected meshes, which was before mesh uploading was a feature. Oh yes… I remember those days. But now that custom meshes are officially supported (just waiting on support for normal maps now) I am sooo much more free, able to build quicker and actually continue developing a skill that I can use elsewhere in my career. Man… I can’t wait for normal maps too! Things will look so much nicer once normal maps are in. You will be able to do add so much more detail with not as much legitimate detail in the mesh.